The ability to collect and store large amounts of human behavior traces data collected from various sensors on people’s personal, mobile, and wearable devices, as well as from smart environments, offers a new source of data to study human behavior at scale. However, existing Human-Computer Interaction (HCI) behavior sense making methodologies do not lend themselves to studying behaviors from such large multivariate, heterogeneous, and unlabeled datasets. In this talk, I show how computational modeling allows us to explore behaviors by simulating situations people find themselves in and predicting actions they perform in those situations. I illustrate my approach using a probabilistic computational model of human behaviors, which estimates the likelihood that people will perform certain actions in different situations in a way that matches their demonstrated preference for those situations and actions in behavior logs. I leverage such computational models to create various tools to aid stakeholders, such as domain experts and end users, in exploring, making sense of, and generating new insights about human behavior stored in large behavior logs in a principled way. Nikola Banovic is an Assistant Professor of Electrical Engineering and Computer Science at the University of Michigan. He received his Ph.D. from the Human-Computer Interaction Institute (HCII) at Carnegie Mellon University, and his B.Sc. and M.Sc. degrees from the University of Toronto. 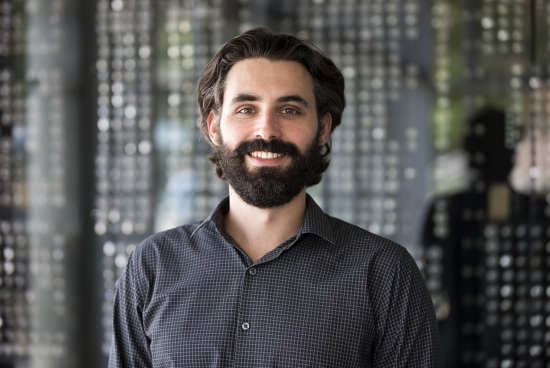 His research focuses on creating computational models to study, describe, and understand complex human behaviors and enable technology that automatically reasons about and acts in response to such behaviors. He has been named NSERC Post-graduate Fellow and Yahoo! Fellow and published award-winning research on methods to study and model human behavior.